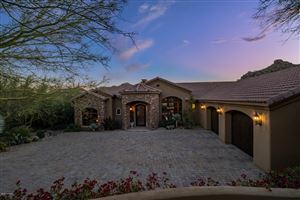 Troon Mountain Estates offers large custom homes within a gated community on Southeast slope of Troon Mountain. Homes have a great view of Troon Mountain and the McDowell Mountains which is part of the McDowell Sonoran Preserve. Some homes have great views east to Four Peaks in the Mazatzal Mountain Range. Lots also available. See all Troon Mountain Estates at Troon Village.